Are making the right impression with clients? You talk with them about hair and beauty, product suggestions, and you think you’re doing everything right. But have you ever thought about delivery? Are you making the right impact with your body language? If you think about your posture for a minute, do you feel hunched shoulders, crossed arms and grim faces? Are there ways you could improve the impression you’re showing your clients? 1. Our words only account for 7% of the overall message. 2. Our presentation accounts for 15% of the message. 3. Our tone of voice accounts for 23% of the overall message. This is why texts and emails can so easily be misinterpreted and cause offence, where none was meant. 4. Our body language accounts for a massive 55% of the overall message. 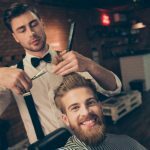 Knowing these facts, it’s clear that body language and nonverbal communication lie at the heart of great salon customer service. It really is worth spending time educating yourself on good body language. While excellent body language skills tell your clients you’re engaged, confident, and honest, poor skills can convey low self-esteem and a lack of interest to a client. It’s a common mistake to assume that your welcoming friendly environment means you can adopt the same body language as you might in a social situation. 1. Tilting your head just a little to one side says you’re friendly, listening, and interested in your client. It doesn’t matter which side. 2. Failing to smile makes you appear aloof, gloomy and unapproachable. Exactly the opposite of what a good hair stylist or beauty therapist should be. A genuine smile indicates warmth, confidence and openness. 3. 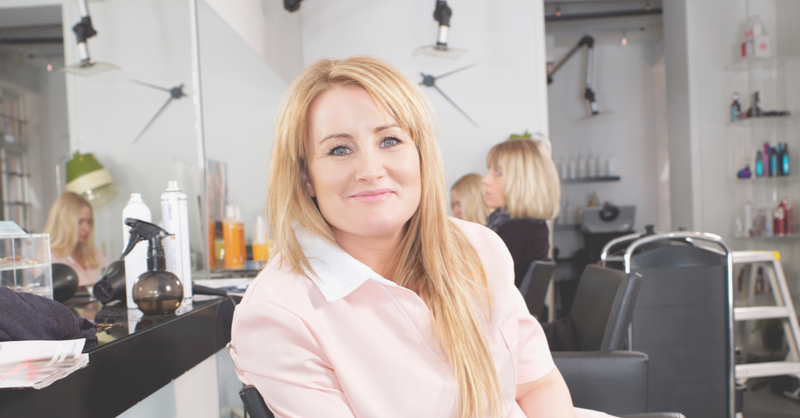 Respecting a client’s personal space is particularly crucial in the hair and beauty business. Getting too close (when you don’t have to) looks pushy and intrusive. 4. Finger pointing appears rude and aggressive. Instead, keep your palms slightly up and outward – this suggests open and friendly. 5. Mobile phones should be out of sight if you want to create the right impression. Leaving your phone out and awake tells the client that the phone is more important than they are. 6. Always hold your head up. Slouching or lowering your chin can make you look grumpy or unhelpful. 7. Maintain good eye contact. This signals respect and interest in what your clients and colleagues have to say. This is particularly important during the consultation. And never roll your eyes as this signals contempt and frustration. 8. Avoid crossing your arms or legs as it appears defensive and ‘closing down’. This is especially important in your initial client consultation as it sets the tone and mood for the appointment. Want to really make an impact with your client? 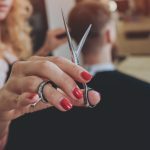 Combine these salon body language tips with using the client’s name and you’ve got a winning combination!